Okay…what in the H.-E.-Double Hockeysticks does this word Seranity mean?? It’s a word I made up accidentally when I was teetering on the edge of the caretaker’s abyss. 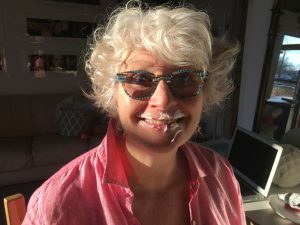 Anything can bring us to a place of caregiver burnout– aging parents, crazypants toddlers, the death of a loved one, addiction, losing a job, a big move or deployment. 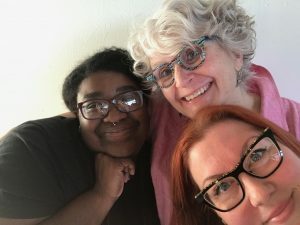 I was the text book case of someone who’d lost themselves to caregiving, caretaking, and, dare I say it, care-controlling. There it was. A word that perfectly described what I’d lost; my Seranity. Serenity + Sanity = Seranity. I had one foot planted in the future–worrying about all the doomsday scenarios that might engulf us if this happened, then that, and one foot stuck in the past kicking at the banked embers of unresolved resentments and disappointments. I can’t do regular splits, much less Chinese, so something had to give. That’s when some graceful force of nature swept me and my crumbling bits of sanity to a 12-step meeting. For me, Seranity is a state of being I can only achieve when I stop focusing on everybody else’s choices and needs and slowly but surely refocus on myself with the help of a wonderful community. Yup. That’s the key to Seranity. Detaching from the soul-sucking pull of crisis just enough to re-attach to yourself. Your goals. Your dreams. Your happy dance. Best news yet?? You don’t have to make a huge life change to “git you some.” I’m talking tiny baby steps back to your own choices and passions. Teeny ones. Really. Hardly visible under a microscope. The size of a waterbug’s compact inside its little sparkly evening clutch. If you are, I hope you’ll sign up for my blog posts and to my freshly picked updates about my pippingtooth art and book news here. And if you want to gab more about Seranity, (what it is and how to find it), I’d love to chat with you and my other Seranity Seekers in my private facebook group here. 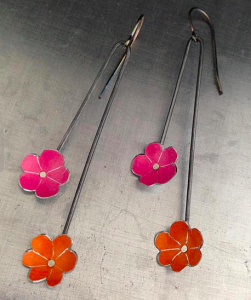 Ok…that’s what’s blooming in my brain today. ps. You’ll still be able to show up for those you love. Just refreshed and with healthy boundaries in place. Imagine wearing a semi-permeable, floral patterened, brightly-colored hazmat suit with candy-filled pockets. There. That’s the idea. 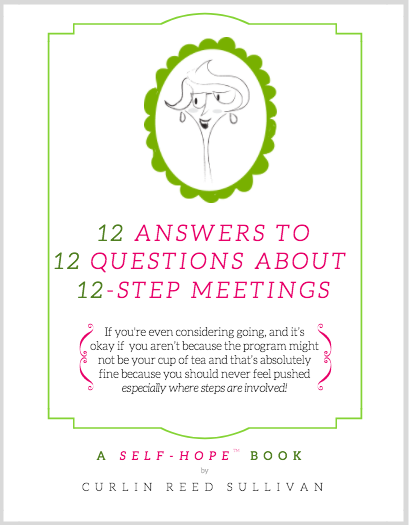 If you’ve got more Q’s than A’s about family recovery programs, I’ve got you covered in my new guide, 12 Answers To 12 Questions About 12-Step Meetings. By attending meetings and applying the 12 steps to my life, I finally learned how to recover my own happiness and Seranity again in the midst of a loved one’s addiction and recoveries. A great recovery program can help you refocus on your own health and tranquility whether the person you love is drinking or not. And I think that’s worth checking out if you’re struggling. How to find a 12-Step Meeting in your area. There are lots of different 12-step recovery meetings. I talk mostly about the ones for friends and family members, but here are some links to a range of other programs. Just knowing there are 12-step meeetings near you is reassuring–even if you never darken the door. A handy list of meetings is a great resource. And, trust me, you can’t have too many of those. These three little sentences changed my life and helped me refocus on my own choices again. They gave me the space to learn how to stop being so codependent, how to detach with love, and refocus on my own passions. 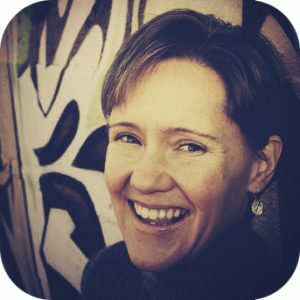 My guide is a little primer for what to expect at a Family Recovery 12-step meeting- at least it’s my take on it all. In it, I answer the most common questions people ask me about “what goes on in there?” and why I keep going. The answers are “No”, “No”, and sign up here for the third answer and more. As Always, Feel Free to Drop Me A Line. You can write me here or join my private facebook group if you’re searching for hope, humor and lots of support. Please Help Me De-Stigmatize Addiction. If you’re anything like me, and you love someone who has had issues with addiction, it’s easy to think there is something you could, would, should do to make person stop using. healthy again. Phew to the millionth power. Who knew? Going to meetings is a way to keep reminding myself of these three little truths. They help me re-center myself when my thinking gets squirrely. Even if you never choose 12-step meetings (and that’s okay because they might not be your cup of tea. ), I’ve made it my mission to carry these truths to anyone who may be suffering under the delusion that it’s their job to FIX the problems engulfing the one they love. To be sure, there are ways to support a loved one who is trying to stay sober ( most of them involve healthy, loving and sometimes difficult boundaries), but I’ve come to believe you absolutely positively MUST take care of yourself in the process because that’s the only thing you can CAUSE a great massage for yourself, you can CONTROL the three scoops of ice cream you put on your cone, and you can CURE the self-doubt and distorted thinking by being kind to yourself. Family members whose lives have been affected by a loved one’s addictions or recoveries often rely on the old bromide: “Let Go and Let God.” Letting my Higher Power carry my emotional bag of groceries has saved me many a time. 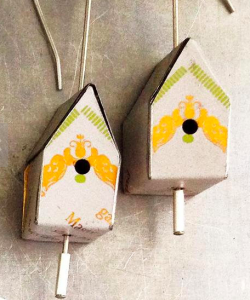 When I need just a bit more letting go, I do what I call “Clooking” (Looking & Clicking) on Pinterest, Google, Online museums. Instagram. Sometimes detaching is as easy as taking 10 minutes to “clook” at things that interest you. You can check out my Instagram or Pinterest pages to get started if you like. 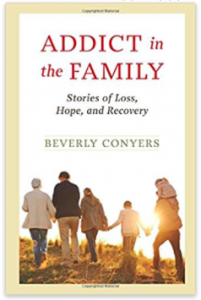 Beverly Conyers offers this wonderful advice and more in her excellent book: Addict in the Family – Stories of Loss, Hope and Recovery. She takes the hand of family members and guides them in understanding addiction, finding compassion and offering healthy support to the alcoholic. More importantly to me, she helps family members detach with love by refocusing their energies on their own lives, hopes and dreams. Conyers is one of my faves! Check out the book from here through my affiliate link: Addict In The Family: Stories of Loss, Hope, and Recovery. If you make a purchase, I’ll receive a commission at no extra cost to you. I found this great article written by Molly Castelloe who writes The Me In We blog for Psychology Today magazine. In the article, she quotes author Julia Cameron from her book, The Artist’s Way. Cameron comes closest to explaining why I’m starting to notice that my creativity is a collboration I join into with my Hiya Power! 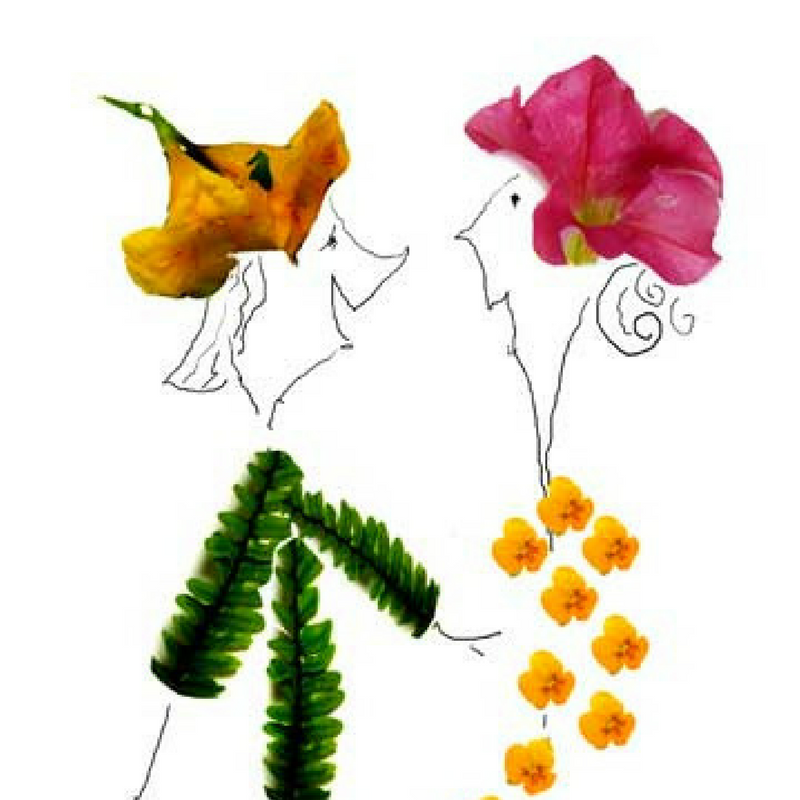 “Creativity is an induced spiritual experience, writes artist Julia Cameron. We are all part of a vast electrical energy field, she claims, and one’s creative instincts bring one more in harmony with this ecosystem. When we make something new, generate concepts or build novel associations between existing ones, we spark a form of “spiritual electricity” that puts us in alignment with the natural order of the universe. Do you feel a spiritual connection when you are being creative? Think of all the things you make with your hands…it can be anything from a glorious meal to a hand-thrown dish. Do you feel a spark? I hope you’ll share your experience here in the comments section below. Many of you know that I’m working on a memoir about surviving the addiction or recovery of someone you love or care about. If you’re interested in the book, the topic or just want to follow along on my journey to whelp this book baby out into the world, please share your email below and I’ll keep you updated! Maybe you have your own book you’re nurturing and I can be your advance team! 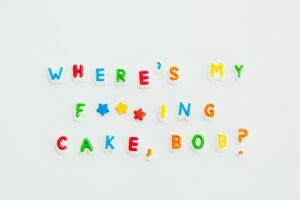 I spent Thursday in a buttercream frosting frenzy with talented designer Jen Wells and photographer, Ari Skinner in a the studio in Atlanta shooting the cover for my upcoming book “Where’s My F***ing Cake, Bob” How I Survived My True Love’s Trips to Rehab. We also had fun trying on a big Seranity Crown I made. Shhhhhhhh. It’s a surprise.